Earning a reputation as the best commercial storefront glass provider in the area. From designing and constructing, to maintaining or repairing, we are here for you. United Glass has a trusted reputation and is popular with area contractors, designers, architects and building owners looking for custom glasswork. United Glass, Inc. was established in 1984 and has grown to become well known for our wide variety of glass capabilities. We specialize in commercial glass construction with an emphasis in interior glass solutions and installations. 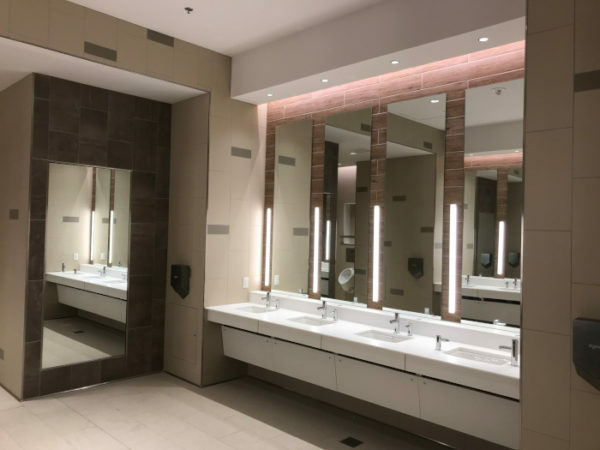 The capacity if our work includes, but not limited to, OldCastle Heavy Glass wall Partitions and Doors, CR Laurence Demountable Glass Products, Architectural Decorative Glass, Raco Interior Framing Systems and Glass Handrail Systems. We also have vast experience with top storefront, window and curtainwall suppliers such as EFCO, Kawneer and CR Laurence to name a few. United Glass Inc., utilizes union labor on all our projects. We are looking forward to working with you on future projects.